Riches, contacts & marketability; no these aren’t just the rewards in motor sport, these are the criteria needed to get into it. For those of less affluent origin, however, international motorsport exemplifies one of the hardest sporting disciplines to break into. Eddie Jordan sait it best when asked how to make a small fortune in Formula 1; "start with a big fortune". Who would be racing now if money wasn’t an issue? Would Schumey or Makkinen have been so dominant? For youths wishing to assess their footballing skills, one acquires a flat area, a spherical object, and uses his/her legs to kick it. Becoming a racing driver, on the other hand, requires money, opportunity and fierce determination. The administrative efforts alone of finding sponsors and a suitable class are enough to put even the most ardent talent off; the cost should take care of most parents’ enthusiasms. How many spectacles have we missed due to these hurdles? Alternatively, how many lame drivers have we had to endure due to sponsor hungry team owners? Mr.Baumgartner, anyone? 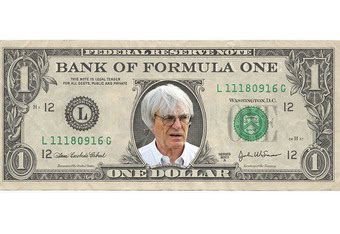 But some wealthy drivers have added enormously to international motorsport. Jochen Rindt inherited riches to become F1’s only posthumous champion. Stephane Peterhansel was no beggar either. Messrs Hill & Villeneuve had cash along with the right surname. Going the money route isn’t necessarily a bad thing, but that’s not to say it should be the most adequate option for an aspiring driver to take. A driver shouldn’t be at the top just because he can afford it; he should be there because he is allowed to, because the only barrier in his way is belief. And this is the problem, drivers who want the opportunity, don’t get it; not because of lack of talent, but lack of resources. That was the case fifty years ago. That was the case thirty years ago. This is still the case today.